My brother, Peter, owns Decibel Designs, where he makes high-quality, low-cost stereo cabinets, CD/DVD cabinets, and bookshelves with tender loving care. He does custom work too. Check out his website. 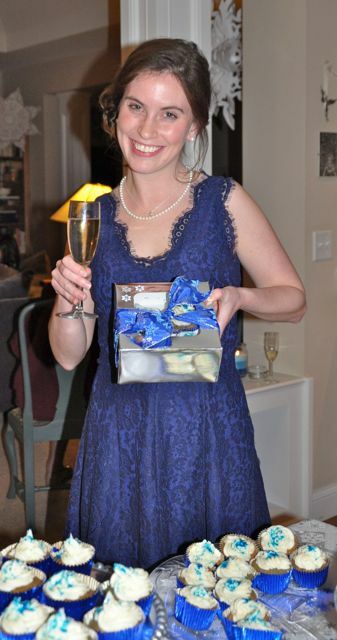 My daughter Jenny blogs about cupcakes and bubbly at bubbles&sprinkles.com. It’s market research. She dreams of opening a cupcake and champagne bar in Portland, Oregon someday. Meanwhile, she takes cupcake orders and makes regular guest appearances on KATU’s “Afternoon Live” in Portland, Oregon. My nephew Jordan is co-founder and head of motion at Pixel Bakery, a motion and design studio in Lincoln, Nebraska, where he and his partners “take zeros and ones, mix them together in a bowl, and bake at 360 degrees until golden brown.” Sample their work at pixel bakery.co.